Located in a heritage-listed sandstone building, the restaurant will have panoramic harbour views and next-level Japanese fare. Following 11 years at Merivale's Sushi E, chef Nobuyuki Ura is moving to grand new digs. 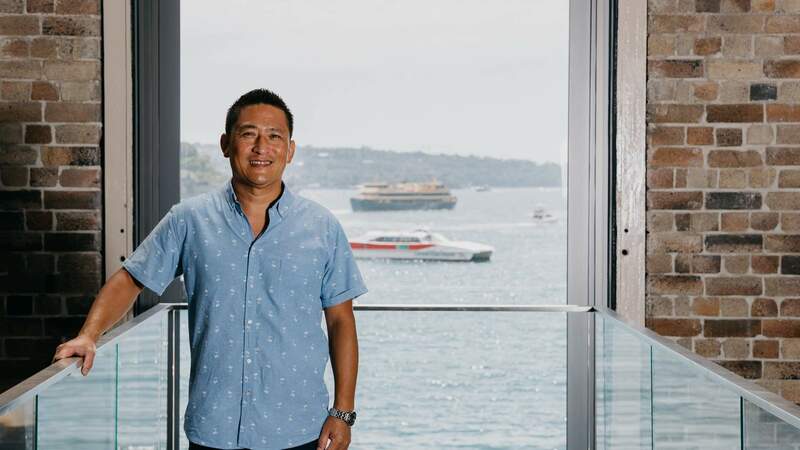 His eponymous restaurant, to be named Ura San, will open in The Rocks with panoramic harbour levels and next-level Japanese fare. 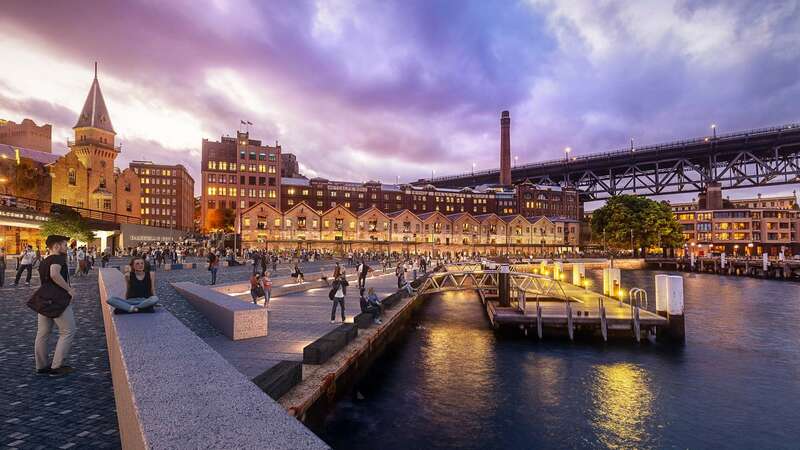 Come mid-year, you'll find Ura within the 19th century sandstone magnificence of the Campbell's Stores building at Campbell's Cove, overlooking Sydney Harbour, the Bridge and the Opera House. 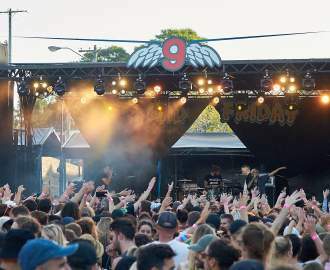 The historic site is currently undergoing a $32 million restoration, and Lauren Cohen of Altis Architects will transform the 280-seater space into a paean to contemporary Japanese design, while celebrating its heritage-listed features. At its heart will be an open counter made of ash timber and black stone. Here, you'll be able to watch Ura and his masterful team in action as they create a traditional omakase menu. "When you go into a high-class sushi restaurant in Japan, omakase represents the best meal you can get," says Ura. "It means 'I'll leave it to you'". 'You' refers to the head chef. At Ura San, you won't pore over menus and make pain-staking decisions. You'll put yourself in Ura's trustworthy hands. "I go to the fish market every morning, to get the best fish...today, the tuna might be very good. Maybe tomorrow it'll be the scampi," San says. "All the produce and ingredients I use are the best — of the highest quality in Australia, New Zealand and Japan." A render of what the revamped Campbell's Stores site will look like. So there'll be no predicting the menu. But you can count on Ura's expertise. Before working at Sushi E, he was head chef at the now-closed Kamogawa on Sussex Street for over six years. Before that, he headed Suntory on Kent Street for eight years, in the space that now belongs to Tetsuya's. Behind the bar, there'll be a selection of top-notch Japanese sake and whiskey. Ura is planning on showcasing some of his native country's finest winemakers and distillers. But, you'll also find an impressive list of Australian wines. In addition to the open counter, the restaurant will house five distinct dining bays and a private dining room featuring a 20-seater marble table. If you're only dropping by for a cocktail and snacks, you'll be welcome to hang out in the more casual lounge bar. Ura San is owned by Eddie and Bill Younes, a father and son team embarking on their first hospitality venture. "They've been eating my food for 13 or 14 years," says Ura. "Around three and a half years ago, we started talking about opening a restaurant together one day." Ura San is scheduled to open in mid-2019 at Level 2, Bays 4-8, Campbell's Stores, 7– 27 Circular Quay West, The Rocks.